Flipkart seems to be taking the Monsoon Sale season seriously. Just last week, the Indian e-commerce portal had the electronics sale with discounts on all sorts of electronics from smartphones to wearables and home appliances. And now, Flipkart has kicked off the ‘Own Your Dream Phone’ sale with discounts and offers on a host of flagship devices. The sale only covers the top-end and premium smartphones and offers heavy discounts on some of the most popular flagships in the country. The sale is already live on Flipkart, and will continue till June 24. The sale is offering some of the biggest flagship devices at discounts as high as 30 percent and also, additional cashback schemes and exchange offers. The sale is held prior to the Goods and Sales Tax (GST) comes into effect, which is believed to hike the prices of some electronics. Most e-commerce portals are offering heavy discounts on all products. Let us take a look at some of the best discounts offered by Flipkart. Apple iPhone 7 Plus (128GB and 32GB): iPhone 7 Plus 128GB is the ‘Hero Offer This Summer’ under the sale. The phone comes with a 26 percent discount over the retail price of Rs 82,000 and is available for Rs 59,999. The base 32GB variant of iPhone 7 Plus comes with a discount of 22 percent over the retail price of Rs 72,000, and is available for Rs 55,999. All the color variants of the phone are covered under the sale. Flipkart is also offering up to Rs 15,000 cashback on exchange of older devices. Additionally, there is also the offer of additional five percent off on Axis Bank Buzz Credit Cards. 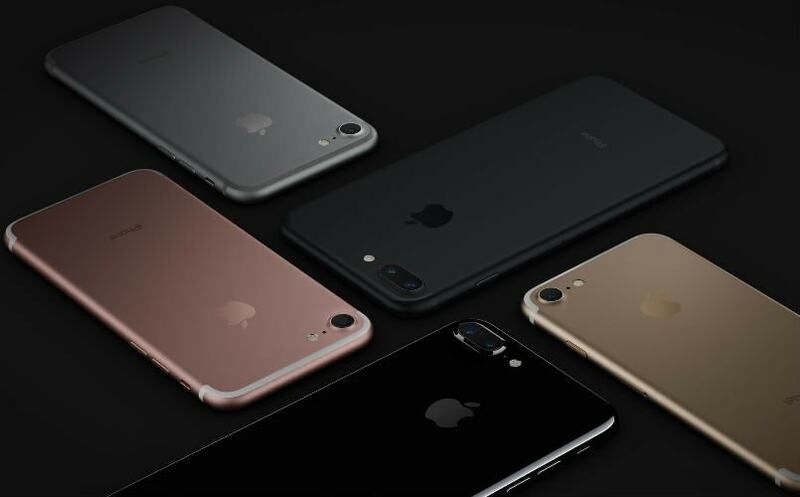 Apple iPhone 7 (128GB and 32GB): iPhone 7 (128GB) is priced at Rs 51,499, which is a 26 percent discount over the actual price of Rs 70,000. iPhone 7 (32GB) is the cheapest of the new lot, and comes for Rs 42,499 post the discount of 29 percent over Rs 60,000 retail price. The exchange offer giving additional discount up to Rs 15,000 is also applicable on both the smartphones and so is the Axis Bank Credit Card offer. Google Pixel (128GB): The higher, more premium variant of the Google Pixel comes with a discount of 19 percent, and is available for Rs 53,000, as compared to the actual price of Rs 66,000. The phone also comes with No Cost EMI, exchange offer with a discount of an additional Rs 15,000 and the Axis Bank Credit Card offer. However, both the color variants of the phone are ‘Out of Stock’ on the site at the time of writing this story. Google Pixel (Very Silver, 32GB): Google Pixel 32GB variant is also up for discount. However, it is only the one base Very Silver variant that comes with the offer and not the second Quite Black one which continues to retail for Rs 57,000. The Very Silver variant comes with a 22 percent discount and is available for Rs 44,000. There are up to Rs 15,000 additional discount exchange offers along with No cost EMI and Axis Bank Credit Card offers. Moto Z with Style Mod: Motorola Moto Z is another flagship device that comes with a discount of 25 percent. The phone is available for Rs 29,999, a drop of Rs 10,000 from the retail price of Rs 39,999. Additionally, the Exchange Offer gives an additional discount of up to Rs 17,000 on the phone. The Axis Bank Credit Card offer is valid on the phone. Flipkart is also offering up to Rs 4,000 off on the JBL Mod on purchasing with credit/debit cards. Samsung Galaxy C9 Pro: Flipkart is offering 13 percent discount on Samsung Galaxy C9 Pro smartphone, and the price of the device has dropped from Rs 36,900 to Rs 31,900. The phone comes with up to Rs 15,000 off on exchange. There are no further offers on the smartphone. Apart from the mentioned smartphones, Flipkart is also offering discounts on the complete range of iPhones starting from iPhone 5s. The price of iPhone SE is now Rs 20,999 for the 16GB variant, and Rs 21,999 for the 32GB variant. iPhone 5s is available for Rs 14,999 for the 16GB storage variant. iPhone 6 is priced Rs 22,999 for the 16GB variant and iPhone 6 and iPhone 6s are both priced Rs 25,999 and Rs 32,999 for the 32GB variants. However, the discount offer is not applicable on iPhone 6s Rose Gold variant which continues to retail at Rs 37,599.